(KAUKAUNA, WIS.) May 2, 2017 – The 2017 navigation season on the Fox River opens on Friday, May 5 opening just over 25 miles of the river to boaters. Locks begin operations starting at 8 a.m. in DePere, 10 a.m. at the Little Kaukauna lock, and 11 a.m. in Appleton, Little Chute, Cedars, and Combined Locks. For a full schedule of lock operations, visit www.foxlocks.org. Fees for using the lock system are reasonable and available for both motorized and non-motorized boats. A daily permit to use all locks starts at $10 for motorized boats, $5 for non-motorized. Weekend and season passes are also available. 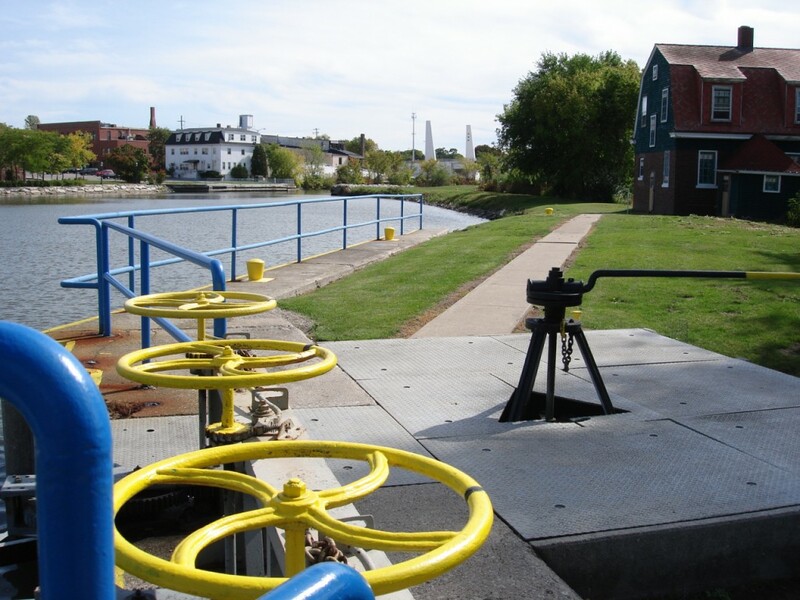 The lock system on the Fox River is one of the only fully restored, hand-operated lock systems in the nation. Just as they did when the locks were built in the 1850s, locktenders open and close the giant gates and valves by hand. The lock system is staffed by 20 locktenders on duty until the end of the navigation season on October 1, 2017. The lock at Rapide Croche will remain closed to prevent the spread of aquatic invasive species from the Great Lakes into the Fox River and Lake Winnebago. Plans for building a boat transfer/cleaning station to move boats over the barrier are under consideration by the FRNSA board of directors. The Menasha Lock will remain closed due to the presence of the aquatic invasive species, the round goby. It was closed in late September of 2015 to comply with NR40 that prohibits contributing to the spread of aquatic invasive species (AIS). The board of the FRNSA is considering three options for creating a barrier to AIS and allowing operation of the Menasha lock: a boat haul-over within the lock, an electric barrier system in the water, and a carbon dioxide barrier in the water.